When you ask some people “what's the first thing that comes to mind when you say Australia?”, they’ll say the deadly animals that call this volatile yet beautiful country their home. With more than their fair share of the world’s most poisonous and deadly animals, it is little wonder that the place has a reputation for all the weird and wonderful. As a visitor to Australia you may need to look out for a few of the main pest that can cause disruption to your trip. As most Australians really think nothing of finding a snake or a Huntsman spider in the house, as a tourist you may encounter a few nasty surprises – most of which cannot harm you but it is still good to be aware of what you may find hiding in your backpack. Below we have highlighted a few of the main baddies to look out for, but try not let this list put you off as most people come back from a holiday in Oz without encountering a single one of these – but it is always good to be aware! Australia plays host to 8 out of 10 of the world’s most poisonous snakes. 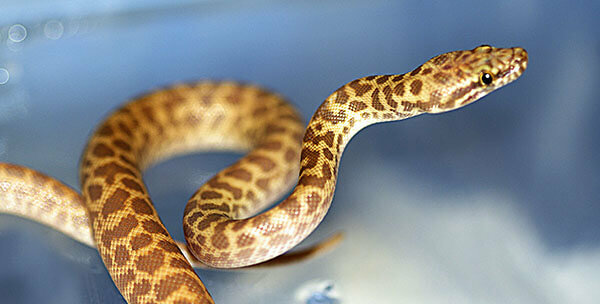 From vipers, boas and restrictors there are 140 species of snake that name Australia as their home. Most people on a trip to Oz do not ever encounter them but if you are planning to stray from the cities to see some of Oz’s famous outback, you may need to keep a few things in mind. If trekking, always wear tough boots that at least come over your ankle and long trousers, as if you accidently step on a snake or come too close to one, these little things could save you from a nasty bite. The spiders of Australia incite more fear around the world than anywhere else. The native Huntsman and Black Widow (to only mention a few!) are ones to look out for. Although the infamous Huntsman spiders are not deadly (although they certainly look that way!) they can still deliver a nasty bite that can cause swelling and irritation. Be aware to check such things as bags and clothes if they have been laying around for some time, just in case one of these lovely spiders of Australia has decided to make your belongings it’s home! Jellyfish stings in Australia can cause death, with several venomous species claiming the north as it home. The Box Jellyfish is particularly notorious around Darwin due to it liking the warmer climate here. Please take note of official council warning signs, indicating the safest places to swim and surf etc. Attacks on people are common in places where large crocodiles are native and human populations live. Of the 23 crocodile species that call Australia their home only 6 of those are considered dangerous to adult humans. Take extra care when in areas where crocodiles are abundant. The Australian Government and councils are very good at putting signs up to warn tourists of the dangers, especially when swimming or bathing in certain areas – take the time to read the signs and stay away from the water at all costs, if instructed to do so. Apart from the Australian Salt Water Crocodiles that firmly live up to their reputation as a dangerous animal, most of the other groups can deliver a nasty bite or sting but won’t kill you. Most people after spending time in Australia soon realise that unless you really go searching for such creatures in their natural habitat you won’t see them. If you do fall unlucky and do come into contact with any of the above animals, Australian hospitals are more than equipped with anti-dotes and treatments to help recover from your encounter. Last updated by jack on 07 May, 2014 in Travel. This is so scary! But I still want to go. There is no bug or animal that can keep me from visiting it.